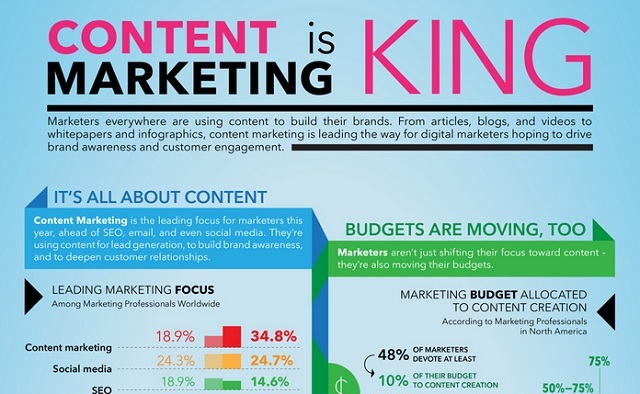 Home Content Marketing What is the ‘Content’ in Content Marketing? Believing that ‘content is a king’, it is widely used for augmenting marketing campaigns and driving traffic at online channels. However, content is not just words that you see on a piece of paper, or on your mobile or desktop screen. It is definitely more than that, way more. Marketers, who are not aware of the real power of different types of content, are establishing their marketing strategies on optimizing blogs. This is no doubt crucial; however ignoring numerous other content types would not help you achieve what you think a perfectly-worked upon blog would do – i.e. fresh traffic, targeted visitors, higher conversion rates, and better SEO. 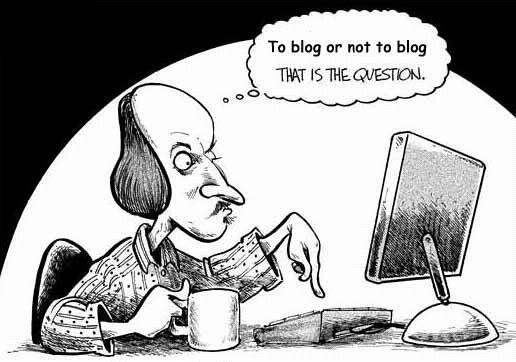 Blog: Blogs offer a personality & a sense of humanity to a business. A blog is like a creative canvas where a brand shares its business knowledge & spark conversation with audience. Blogs attract visitors to website, help in improved search rankings, and gives an opportunity to interact with the target audience. Images: A business can survive if it can adapt to the age of ‘visual culture’. The way people specially the younger generation is consuming content is changing radically. They need content that they can grab quickly and retain. Photos, infographics, mini-infographics, gifs are all forms of visual content that have a bright future in terms of marketing. Videos: Web is interactive in nature where interactive videos prove to be versatile. And guess what! You do not have to worry about financial barriers while creating videos or Vblogs. Podcasts: Podcast isn’t for everyone; however it allows a brand/organization to humanize its efforts. To reach to a person in every possible way, sometimes, it is crucial to create experiences for micro moments that consumers go through every day. There are several benefits of podcasting such as, this builds personal branding and strengthens relation between host & listener, it is addictive as people who listen to podcasts listen to a lot of them, and it surely gets lots of subscriptions. Slideshare: Linear storytelling and rich visual design are the two reasons that smoothly attract audience’s attention. With its power to attract audience and generate leads, today slideshare is widely referred to as ‘quiet giant of content marketing’. Infographics: It is not an unknown fact that visual data is absorbed at faster rate than ordinary text data. Infographics give a chance to represent information in an interesting and engaging format. Also, study says that those who use infographics as their content strategy get 12% more traffic than those who do not. Whitepapers: Whitepapers have always been used as a useful marketing resource. Whitepapers are ideal to educate your audience as well as market your brand. With whitepapers, a brand can generate lead, build brand image, and develop a mailing list. And yes, remember that social users love to follow brands that share insightful, engaging and relevant content. Case Studies: Case study is one easy answer when it comes to thinking about fresh content. With offering benefits like a powerful social proof, several reusable information, and original content, no other content format offers as many diverse benefits to an Internet marketing strategy as the case study. Case study simply gives reasons to web searchers to visit your site again and again. Though you now know that it is not only blogs that demand your SEO efforts, still there are things you need to know to ensure your content marketing efforts are directed in the right way. The list of content types shared here are maybes and not must-haves. Depending upon your brand and appeal choose and experiment with different content types. It is completely ok to not include some type of content in your content marketing strategy. Stay encouraged while you experiment with a new content type. Do not let the thoughts like ‘it would take way too long’, ‘this would fall flat’, or ‘this would be too hard’ overcome your ideas of trying a new type of content for your brand. It is ok to start small and gradually work your way up. Though the different types of contents are divided in categories, this should be secondary for every marketer, as the primary aspect is always an ‘idea’. If you have an idea, think about how it can be represented in the best way and accordingly pick up the content type. Don’t be amaze if one fine day you invent a new content type.